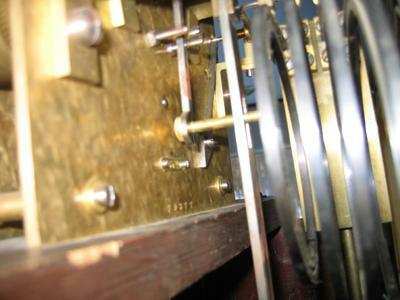 small plate on the movement that says "elite"
I have just inherited a beautiful old clock and have questions about its origins. 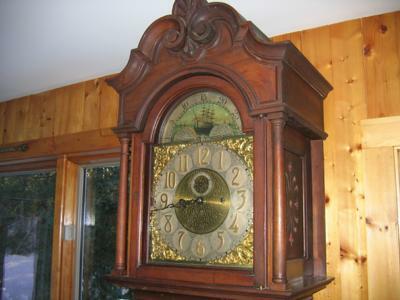 It was presented to my great grandfather in January,1908, by "the medical men of North Dakota" as stated on an engraved brass plaque that is with the clock. The only identifying marks are a small plate on the movement that says "elite" and the serial number stamped into the movement frame, 79377. Other than that there is nothing to identify the maker. 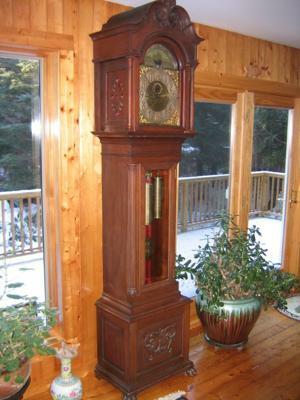 It runs perfectly and chimes on the quarter hour with four chime coils and one gong coil that chimes the hour. It is an eight day movement that has an "anti reverse" mechanism. I was able ro regulate it to quartz accuracy and was quite pleased to find it possible to do so. So I can assume it was made previous to 1908. 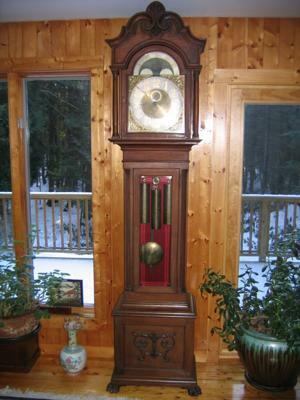 The clockmaker I had look it over said it is a high end movement but he doesn't know much other than that.